I am in no way trying to say my children’s diets are perfect, nor am I going to profess to be the greatest cook in the world but I am a huge advocate of cooking & baking with your kids. Charley may only be 2 years old but she is a dab hand at pouring ingredients into a bowl and her whisking skills would put Gordon Ramsey to shame. With Harry now 5 years old I can teach him the basics of healthy V treat ( we don’t call it bad ) food. We have a diet full of fruit and vegetables but I also do not cut out all the ‘treat’ food. I believe in the saying everything in moderation. Since we have moved into our lovely new house and I had my beautiful new worktop space fitted by Worktop Express , cooking with the kids has become a regular occurrence. We have stuck to very simple dishes like homemade pasta sauces, full of vegetables and brimming with lovely vitamins. We bake wonky cupcakes ( must keep trying ) that even though they are a ‘treat’ food gives Harry & Charley the chance to be creative and design their own toppings. 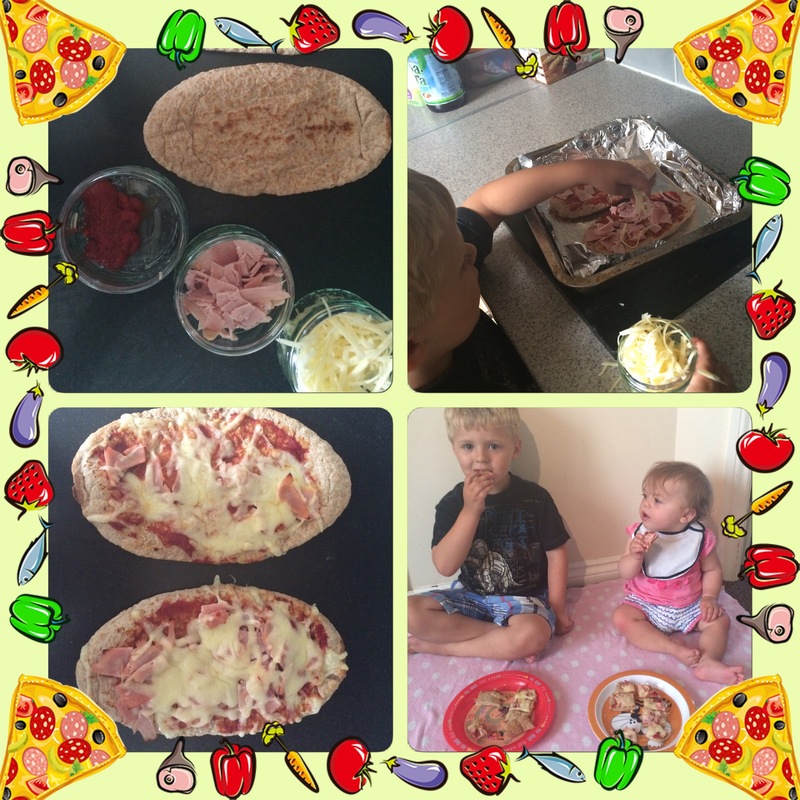 The simplest and most fun dish that we make time & time again is Pitta Pizzas. A fraction of the calories of a standard pizza and takes less than 10 minutes to make. So have a go !! Toppings can be changed to your kid’s taste but I a sure you once you have done this, your Mummy & Me cooking adventures will be well underway. I hope this has inspired you to start cooking with your kids. If you have any simple recipes you enjoy making with your children then comment with a link to the recipe below.